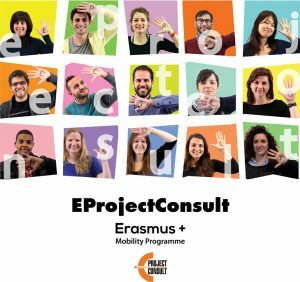 How is it to be an intern in EprojectConsult? From July to September sunny and hot weather occupies whole Sicily: shops and offices are closed for siesta, people are sunbathing and swimming in the sea. But the team of EprojectConsult still works, creating and implementing new European projects. For me it is a big pleasure to be a part of it. This is a time to introduce myself. My name is Veranika Bystrova, I’m from Belarus. For 3 months I have taken a place of intern in this organization under Life Long Programme Erasmus Placement. First of allI was nicely surprised, that each person of the team has its own area of activity. My task is to deal mostly with Youth in Action Programme (YiA) projects. At the beginning I was asked to study and analyze information about my organization’s profile and past projects, European Commission youth programmes and strategies, such as European Youth Window, different actions of YiA, Erasmus for all. “More in You” has update main theme and it examines the challenges of youth unemployment at national and European level, as the policies and strategies aimed to address it. In the end I would like to say that many interesting projects, meetings and events will definitely meet you here, because main power of EprojectConsult’s men is IDEA!